Hasn't this weather been fabulous? Just warm enough to get out during the day without a jacket but cool enough to open windows. 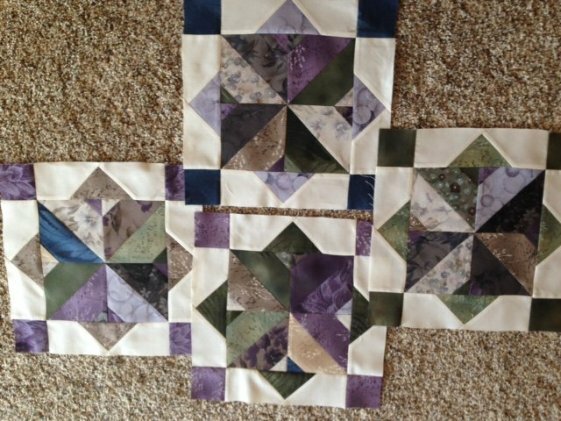 And you know what fall means....quilting season is here! 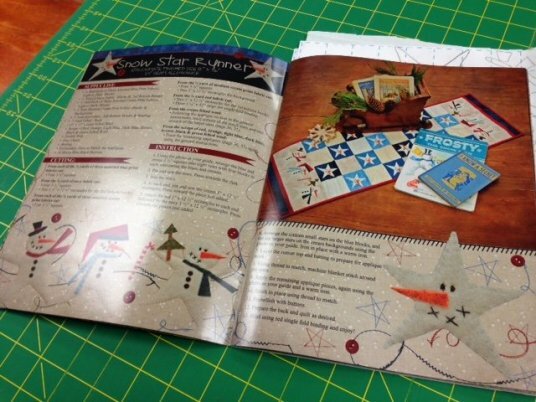 It's officially OK for me to stay inside and sew, sew, sew! Anyways enough about how much I love Fall! Let's check out what's NEW this week! 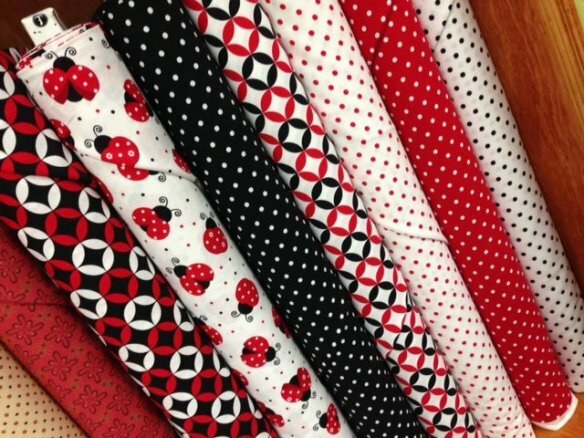 A lovely NEW fabric line in red, white, black, and ladybugs has arrived! 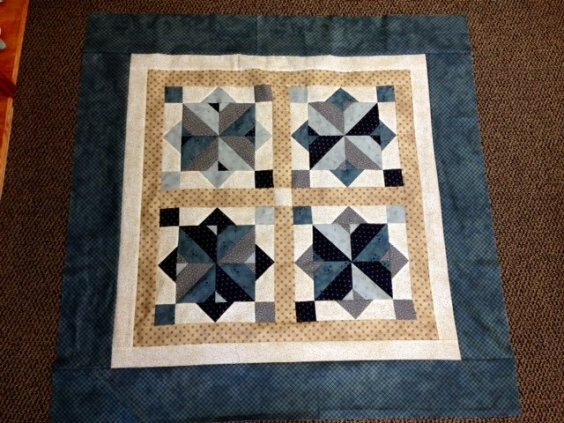 We love this darling line and have a FUN Cozy Quilt pattern in mind. We have a fun NEW product in called Double Gauze! 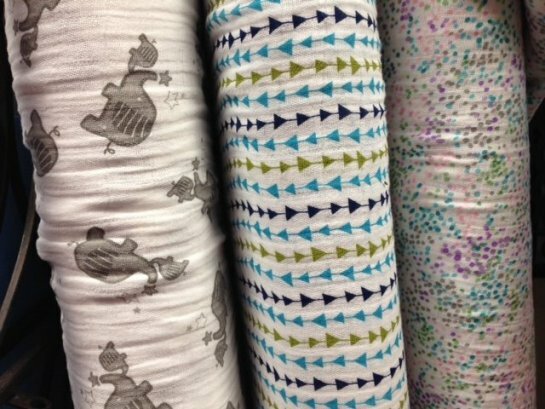 This is perfect for making swaddle baby blankets and it is so simple! Check out these darling elephants!! 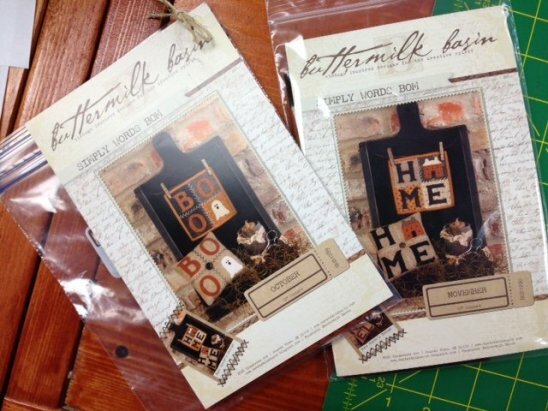 NEW from Buttermilk Basin - Simply Words BOM. These finish at 6" square and can be made into a little wall hanging or a cute pillow or pin cushion! The wide backing for Moonlight Sonata is ready! Stop in whenever to pick it up! Well I am off to finish preparing for the Pamper & Press class tomorrow! Have a fabulous weekend and if you are in town, don't forget to take in the Heritage Days festivities.